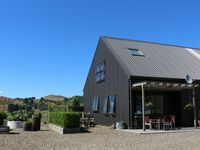 Properties in Waitomo average 4.5 out of 5 stars. Valley View, a two bedroom apartment (being part of owners dwelling). Property 11: Valley View, a two bedroom apartment (being part of owners dwelling). Property 14: Secluded Waitomo Valley hidaway! We really enjoyed staying there. We had been left plenty of good information about the property and the area. Beautiful location and immaculate property , shame we only had one night to relax there.